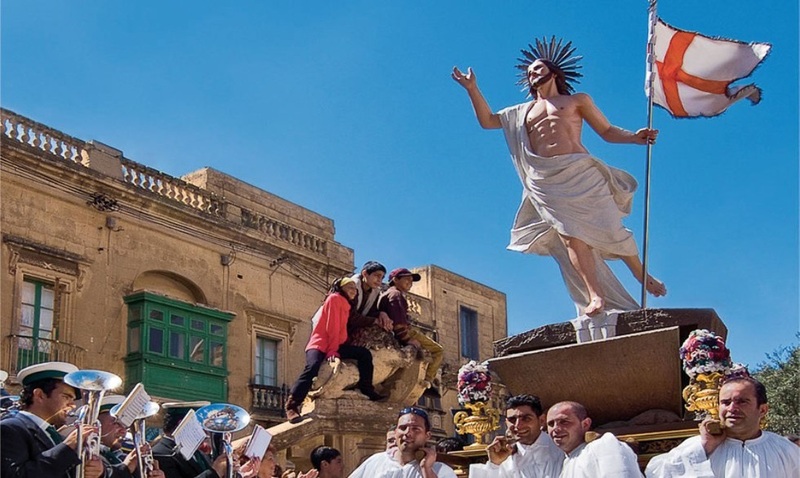 Easter in Malta is very popular due to the Christian dominance of the island. Families unite for lunch and give out Easter presents. In the morning processions with the statue of Risen Jesus are held in various localities including Zejtun. Here you can enjoy the procession starting at 1000 hrs. Later on you will visit the parish church dedicated to St. Catherine. You will then go to the local 'bocci' club where you will taste the famous 'figolli' biscuits filled with almonds and then coated with icing sugar and decorated with colours. You will also taste a delicious ricotta or mushy pea 'pastizz' with a drink before returning back to your hotel at midday.